THIS time of year is a stressful time for many people. You’re juggling everything that comes with the end of a work year, present buying for family and friends and that random colleague you drew in Secret Santa, catering for a Christmas lunch with four times as many people as you’re used to cooking for, preparing to brave the shops at the Boxing Day sales ... sheesh, you can get stressed just thinking about it. endota spa recently released research that stated that 56 per cent of Australian women report an increase in stress levels at this time of year. The most common signs are irritability, tiredness, headaches, anxiety, nausea, heart palpitations or insomnia. Sound familiar? Thought so. 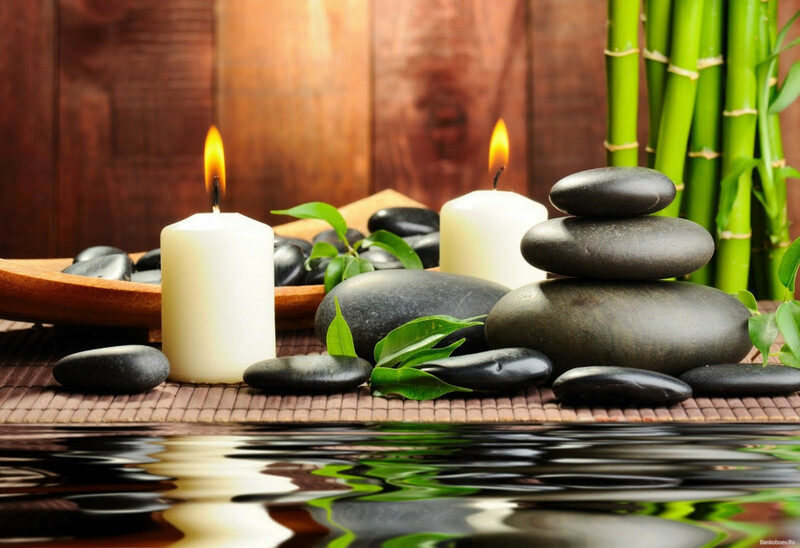 It’s not uncommon for massage to be recommended, or even given as a gift, at times like this. But is it really beneficial, and what is it actually supposed to achieve? Dr Lily Tomas is GP who specialises in ‘integrative medicine’, which includes things like all the normal pharmaceutical approaches as well as things like nutritional and complementary medicine and stress management. She’s also a Board Member of the Australasian Integrative Medical Association, and has written many journal articles on the topic. “During a massage, physiological and involuntary changes take place in many body systems, including our nervous, gastrointestinal, cardiovascular and respiratory systems as well as our endocrinological (hormone) and immune systems,” she explains. “These changes are the health and wellness benefits that can be attributed to massage, and extend well after the time when a massage has finished. When we are stressed, our bodies involuntarily respond by upping our adrenalin levels triggering an automatic response from our nervous system. which releases a ‘stress hormone’ called cortisol. Studies have shown that massage is one of the most effective ways of reducing the production of cortisol which is responsible for the body’s stress response. It has also been suggested that massage can increase dopamine and serotonin (the hormones that make us feel good) and decrease the levels of vasopressin, a hormone that is believed to play a role in aggressive behaviour. Too much cortisol (and therefore stress) for prolonged periods of time is not good for your health and can lead to side effects like high blood pressure, lowered immunity and in serious cases heart attacks, strokes and more. Put simply, a relaxation massage encourages your body to slow down the production of cortisol, reducing the strongest contributor to the feeling of stress. By taking time out for a massage. you are giving your body the opportunity to lower the level of cortisol in your body and reset your hormone balance, leaving you relaxed. As you are pressed, rubbed and squeezed during a massage, your muscles are compressed, forcing blood, lymph and the fluid that bathes and surround the cells out of them, taking waste products with them. These are then eliminated out of the body through the urinary tract. A massage kick starts this ‘flushing’ process by increasing your circulation and it’s therefore important to keep your body hydrated with fluids after a massage to help keep it going at this accelerated pace and rehydrate the muscles that were previously filled with the waste products in the fluid. Research studies have highlighted that a relaxation massage results in the stimulation of the lymphatic system resulting in a slight increase in white blood cells levels — an absolutely necessary player in the body’s immune system and playing a key role in defending the body from disease. Massage has been reported to increase levels of serotonin dopamine and neurotransmitters in the body that help reduce depression. Serotonin is a neurotransmitter that regulates a person’s mood. hunger and sleep. Massage promotes the release of serotonin, which promotes a sense of wellbeing thus explaining the positive mood experienced immediately after a massage. Dopamine, another neurotransmitter which is elevated by massage, helps to form the ‘reward’ system in the brain: a massage which is viewed as a ‘reward’ in this situation induces the same kind of pleasure as, say a glass of wine. Adrenalin is a hormone that mediates our reaction to stress. Reduction in levels of adrenalin achieved through massage results in lower heart rate and lower blood pressure. Cortisol causes constriction of blood vessels, which leads to elevation of blood pressure. When you have a massage and the cortisol production levels are lowered, your blood pressure lowers as a result — it’s as simple as that. The kidneys regulate blood pressure by controlling the amount of water in the blood. When blood pressure lowers, the kidneys are removing water from the blood which they then expel through the bladder. So you’ll want to replace the water lost in this way. So basically, by having a massage and taking time out to de-stress, you can decrease the hormones that cause anxiety and increase the calming, happy hormones we all so need at this time of year.